There is one simple thing that we can all do to change our health, save money and better the environment. All we have to do is commit to carrying around a reusable water bottle. We all know that we are suppose to drink 8 glass of water a day for our health. I don't know about you but unless I have a water bottle with me as a reminder I always forget. Carrying one around is a simple and easy solution. Bottle water is extremely expensive. I personally prefer tap water but I know that I am one of the few. If you have safe and clean drinking water I don't know why you wouldn't drink tap water. In some areas its actually better for you and it only costs pennies. If you like your water cold stick a jug of tap water in the fridge and fill up your bottle as you need it. Plastic water bottle produce a lot of waste there is no way around it. Why are we diverting even more waste into our landfills when there is a simple solution? Use a reusable bottle. My office is completely plastic water bottle free and my school is moving that way as well. Its a simple change, that once you start will become a habit after a while. So why not? 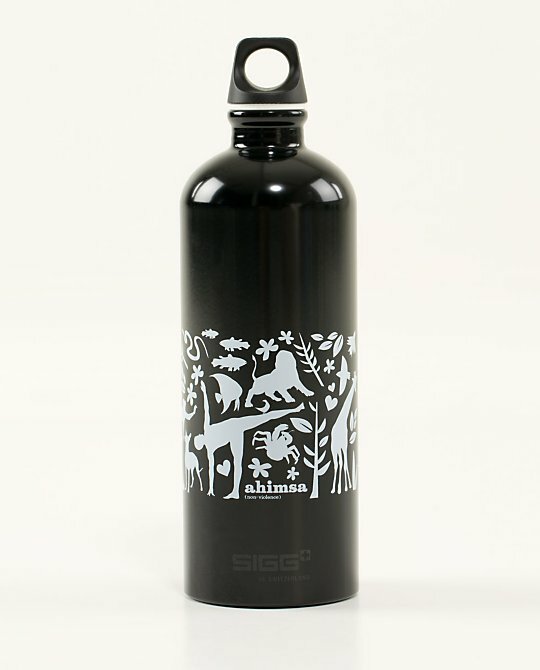 Pick up a cute reusable bottle and it will pay for itself many times over within the week.